The present location of Indiara Gandhi Zoological Park is very accessible to everyone and also being right next to a wildlife sanctuary gives ample scope for productivity and activity. Considerable number of visitors come to the Zoo because of it's convenient distance. Because of it's proximity the doctos and other people are readily accessible to the wildlife sanctuary and animal rescue center also. Shifting the zoo will mean building from scratch which will incur a lot of expenses. Shifting the entire zoo of nearly 625 acres for the sake of a botanical garden sounds pretty insane. Moreover if it gets shifted all the land most probably will be used for infrastructue development including real estate. There have been quite many instances of human wildlife conflict in Visakhapatnam over the past few years. Reducing another 625 acres from that will make it much worse and urbanization will also effect the wildlife considerably. 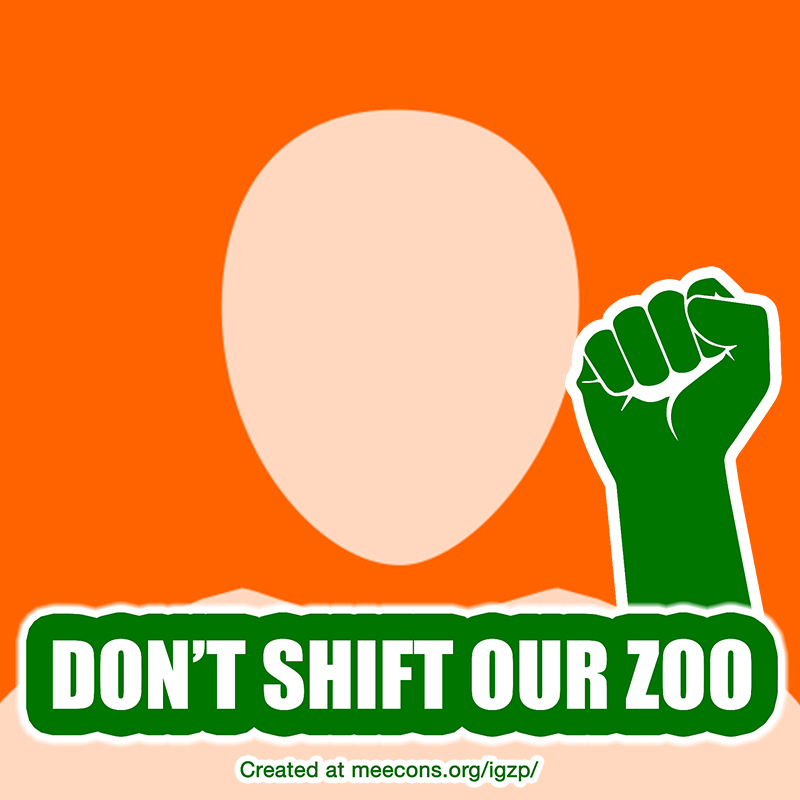 So, we at MEECONS believe the existing Zoo should not be relocated. 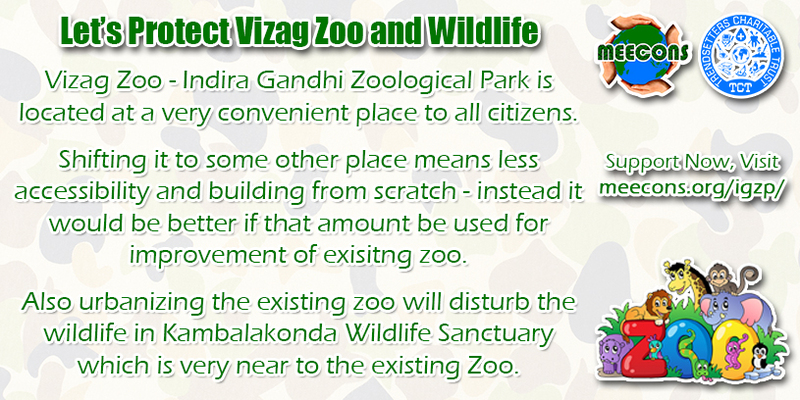 Instead of startching from scratch after relocation, the existing Zoo's infrastructure should be developed. If your support our views you can show your support by creating a profile/cover pic below and posting on various social media. Create your profile pic here. Create your FB cover pic here.